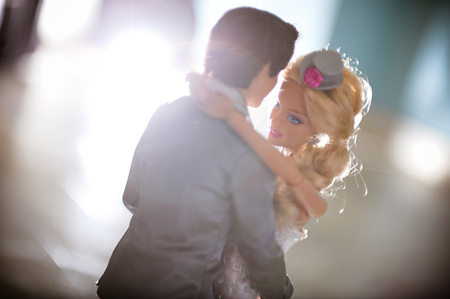 I gotta say it… I kinda want Barbie & Ken’s wedding photographer! These pictures are phenomenal! Photographer Beatrice de Guigne is the mastermind behind this ingenious photoshoot. 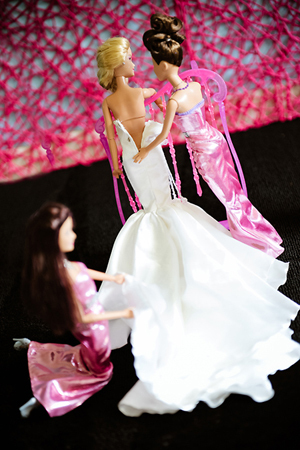 It took her weeks to prepare the wedding & 3 days to take the stunning photos! You can read more about the inspiration for the shoot and the whole ordeal (how to get them to stand, the pain in the knees and elbows, …) on Beatrice’s bilingual BLOG. 54 photos can be seen HERE — trust me, it’s worth checking out!